p.s. Hope you have a beautiful day! What a wonderful post. The photos are so sharp. The poem way too creative. Have a great day. Great pictures! Love the poem too! Beautiful Bossy Betty pictures and we enjoyed the poem too. It was a new one for us...we like learning. Lovely. I do have a soft spot for birds of prey! Always a thrill to see one.. and more so to capture such a great shot such as these. What an amazingly complex poem. The hawk seen in the evening - gliding and swooping and using all the elements of the air to dominate the night skies. There are echoes of time passing of our "error" at not seeing this time pass. The Hawk is a harbinger of death to the thrush and the bat but there is no emotion here - a hawk is doing what comes naturally as does "Time" passing - both ancient in their wisdom - and we ignore this (our "error") because maybe we do not listen enough as the hawk does. Beautiful, you have some super zoomage on that camera, Betty! That's an awesome poem. We have lots a hawks around here, they sit on the power lines waiting. We once had 2 hawks flying over our house in loops, turns out we had a injured duck in our back yard. Lovely poem and photos. Thanks for sharing. Great poem, but I love those shots. Something magnificent about it sitting on the light. What I do know, however, is this bird is a majestic beautiful creature - and I LOVE the shot! I never read this poem before. Thanks for sharing it and the pics. I worry about my shih tzu getting carried away when I see those things. great poem and beautiful photos. I hope everybody enlarged them. Amazing...pure predator! I wish I could write poetry like you. Wonderful! Beautiful photos... and poem! I always feel so uplifted when I pop by your blog. You are the winner of my blog giveaway,,,Congrats Please contact me with your detials for the shipping!!!! What a noble poem. We have hawks in our backyard and to watch them is pure majesty. Sometimes it's a little tough to watch as they swoop down upon the birds of the lake and choose a tasty morsel from the pack. Such is the circle of life. And one more thing . . . I won the contest. I submitted my query today. It will be critiqued on a blog written by 2 authors who help unpublished authors find their way in the world of publication. Thank you so much Betty, for all your help. What a noble looking bird. We get lots of hawks around here. They are so noticeable in the sky. Outstanding, crystal clear photo of the hawk..just wonderful! I have yet to be able to capture one with my shutter....great job! 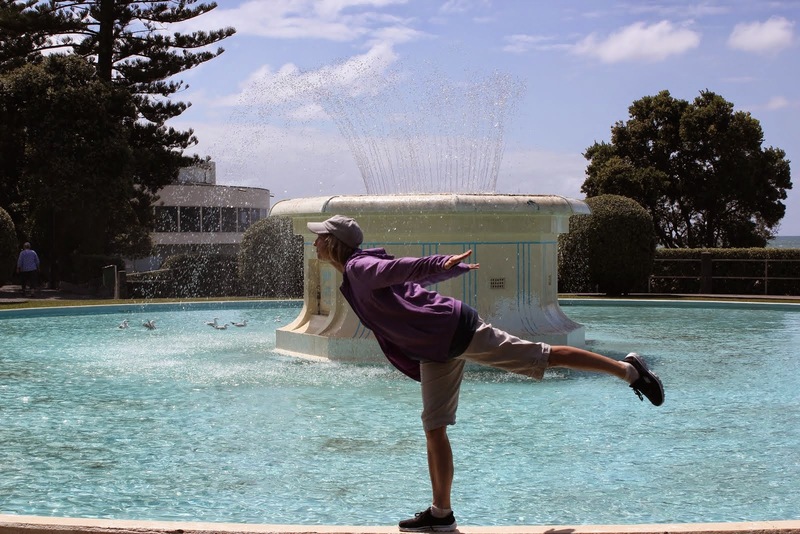 Poetry and photos..how diverse your blog is. Love visiting here. Hope you had a great day! Wow that's quite a stirring poem! There is a hawk that likes to perch on the tree behind our fence. I have never been able to capture it. These are amazing. What a great photo. 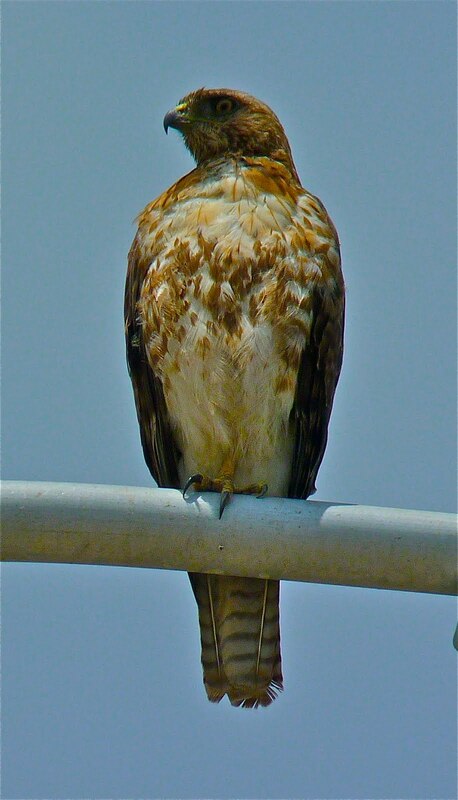 WHile I think hawks are lovely they scare me a little. They enjoy some cat for dinner..or so I've been told!! We see them swooping around on occasion and I always wonder if they are stalking my cats!! I love it when you do a poem for us, Betty. I am in love with poetry. Congrats on POTW and love these hawk shots! They sit so elegant like Marines on guard. Beautiful poem and pictures. I just love watching the hawks soar in the skies. Just breathtaking!! 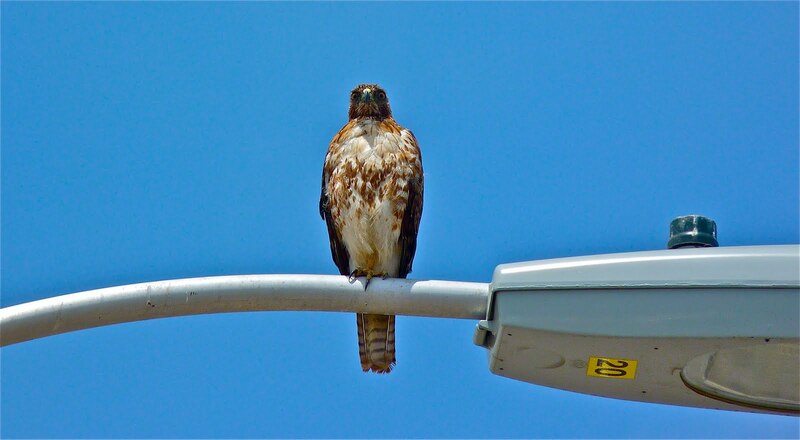 Wow, the photos of that hawk are just too cool. 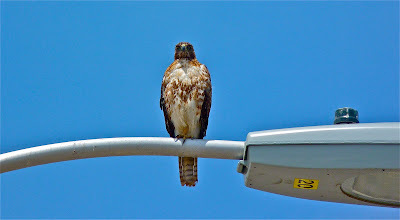 I saw one on a lightpost awhile back, but he was too far away to photograph and I was TOO DAMNED LAZY TO WALK OVER THERE. Like, what if he was gone by the time I got there? I should have been thinking "What if he wasn't?"